The following relies on thinking outlined in my posts on Amazon’s overall finances, their retail reality, and the latest Amazon Q3 results. I’m fortunate to live within a couple of miles of the new Amazon bookstore at Washington Square (just outside Portland, Oregon). I recently visited to see if it matched the hype. I expected the store to take cues from Amazon.com’s shopping experience with different efficiency, purchase transactions, or some insightfully unusual product mix. And since this one is part of their second wave of bookstores, it’s reasonable to assume it is set up using best practices, learned in Amazon’s first wave of stores. The store was BUSY. Washington Square hasn’t had a bookstore inside for years, so Amazon was filled with people. 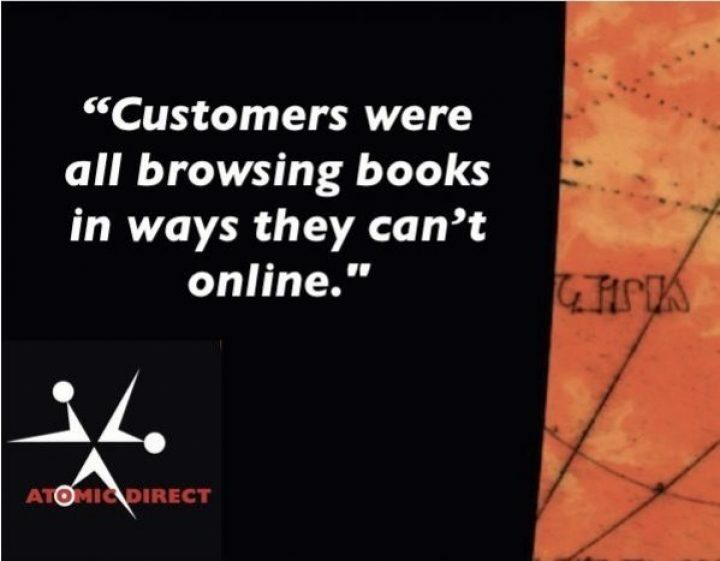 Customers were all browsing in ways they can’t online. They were standing in the aisles, opening and searching books to find something of interest. The store is smaller than a typical mall bookstore – I assume this is a strategic choice by Amazon to limit inventory and lease costs. Amazon masks their public announcements with claims of digital innovation. But the only innovation with this bookstore was displaying all books face out – it’s an insignificant change. They also announced a convenience store strategy where they hyped automatic checkout software for Prime members.There are some digerati who will care deeply, but for most folks there’s nothing significant here (it’s just another store membership). Perhaps internally they have come to grips with reality that e-commerce won’t deliver enough profit on retailer equivalent sales. And retail is a reasonable bet for a company with the size and brand recognition of Amazon – especially when they limit terms of leases, square footage, and cost of inventory. While that’s all conjecture, the next time you hear the press buying into whatever Amazon says, try to look past the shiny, distracting tech bauble and figure out what they’re really doing. A brick & mortar future might be a brilliant strategy for Amazon, and they certainly have the brand strength to pull it off. Meanwhile, I’m taking great joy in calling their new bookstore endeavor what it really seems to be: Barnes & Amazon.